Sending job applications requires a bit of time and planning. If you don’t take the time to understand the elements of a good job application, your chances of landing your dream job will diminish. This guide will help you understand the basics of a job application and the best practices of filling one out. We’ll also examine the essentials you need to keep in mind when writing your job application. In order to write a winning job application, it’s a good idea to examine the concept of a job application. A job application is a method used by employers for recruitment purposes. It’s typically a form-based process, which the candidate has to fill in order to be considered for a specific role. Although a job application used to be a paper version the candidate filled, in today’s world most applications are filled digitally. The reduction in the time spent browsing through CVs and resumes. The levelling of the playing field for candidates, as the forms ensure consistency and impartiality. The option for employers to create customized application forms, which fit their specific job criteria. For candidates, the biggest benefit of job applications is the fact that the form is the same for everyone. Therefore, each candidate has the same opportunity to highlight their skill set in terms of the role they are applying for. While employers can always customize the job application form according to the company’s specific needs, most job applications consist of four core elements. We’ll look at each of these four elements in detail in the following section. But as you can see, a job application is rather similar to a person’s CV and cover letter. But a job application offers a more ordered way of presenting the information, since candidates will use the same form instead of submitting individual CVs and cover letter formats. In addition to the four elements, a job application often also asks for references. A typical number of references tend to be a minimum of two. The suitable references to use include your previous employers or academic tutors and professors. Let’s now turn our attention to examining the best practices of filling each of the four core sections. The institutions you’ve attended. Including university or other vocational school. The courses you’ve taken. It’s better to only include courses that are related to the role or position you are applying for, especially if you’ve attended a number of different courses. The qualifications you’ve obtained. The grades you’ve received for the above courses. Any other institution related activities or achievements you’ve obtained or done, relating to the position. This could be about being part of a student group or other such activity. The second core element of a job application focuses on your work experience. The objective is to list the jobs you’ve held in the past; including information about the role, the company and the amount of time you worked in this role. 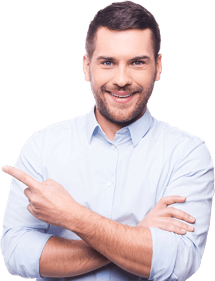 Furthermore, in terms of each job, you should list the main duties of the role. For example, what were the daily activities you did and what specific things were under your responsibility. This section should also include any achievements you’ve gained in the role. You might have been voted as the employee of the month, for instance. In terms of best practices, it’s crucial to focus on listing the jobs relating to the position you are applying for. Therefore, if you have a varied job history, it might be more beneficial to omit certain positions that don’t highlight any skills, keeping in mind transferable skills, required in the position you are applying for. In addition to paid job position, you often have a section for voluntary roles. It’s important to also list these, keeping in mind their relation to the job in question. The above two sections should be relatively straightforward to fill. The other two elements of a job application might require a bit more tweaking and thinking. First, let’s look at the section referred to as the competency-based questions. The section is the key part where you are able to highlight the skills you have in relation to the role. It’s about showcasing how well you meet the specifications of the role. As the section name suggests, this part of the form is about answering questions, which ask about examples demonstrating a specific skill or ability needed in the job. The goal in answering these types of questions is to highlight the skill you are asked about through a real life example. It doesn’t have to be a special or heroic situation; the aim is to showcase you have what it takes to work in the role. The examples you use can be from your time at school, in a specific job or even from your personal life. Furthermore, you simply want to show the employer, you also understand why the skill is important for the role. Another important thing to keep in mind is to not focus solely on what the employer is looking for, but also what you are looking for from the role. Therefore, the question “Why you want this job?” shouldn’t just be about outlining the positives of the company, but what the role means for you in terms of career progression, for instance. 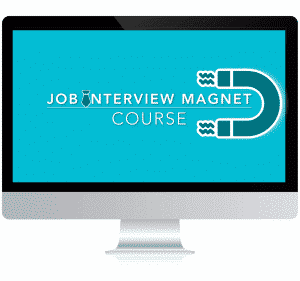 Learn more on how to answer competency-based interview questions. Finally, most job applications include a section for including a personal statement or a similar supporting statement. This part of the application is your moment to pitch for the role in questions. When writing a personal statement, use headings to make the text appear clearer. Include examples, but don’t simply repeat the examples you’ve already used in the competency section. Use the personal statement to highlight your motivation and passion for the role, as well as the industry in general. You should also mention why you’d like to work for the specific company. It’s rather important to tailor the personal statement in terms of the role and organization in question, instead of using a general model. In addition to the above points about the best practices regarding the specific sections, there are some essential things to keep in mind when filling the job application. The following five points should be at the forefront of your application. Before you even start filling out the job application, make sure to research the company and the role. Read the job description carefully and focus on the points the organization seems to be emphasizing. You also want to look at the company website to better understand its values and business mission. Find out more about the vision of the company and what it is trying to achieve. Compare these to your own values and needs, especially in terms of your career. It might also be worth looking up LinkedIn and other social media platforms to see if you know people working for the company. If you have someone in your network, you can ask further questions about applying to the company or the role. This research is important because it helps you highlight your passion and motivations towards applying for the role with the specific employer. You don’t want the answers to be generic, but instead reflect what the employer is looking for from the candidate. Why do I want to work for the company? What is appealing to me about the role? Why is the industry something I’m passionate about? The answers will naturally depend on what you find about the company’s culture and the specifics of the job. For example, it might be that the organization is committed to green business, which is important for you. The role might seem appealing because you would get to work with young people, for example. You’ve read the job description carefully and fully understand what the role entails. You’ve done research into the company, and you reflect the same business values and work ethics the organization admires. Don’t use copy-paste answers in your job applications. While it’s OK to have a core answer ready, you should always look at it in terms of the application in question. Generic answers that are copied have lower chances of getting you into a job interview. You should never lie on your job application. This includes small tweaks to make things look better to coming up with examples that haven’t ever happened. It might seem obvious advice, but plenty of candidates are still attracted by telling little lies. But there are two main reasons for telling the truth, aside from it being the right thing to do morally. First, changing your degree classification to something different can in fact be classified as a crime. For example, you could face criminal prosecution in countries like the UK simply by having your classification switched. Second, if you happen to get into a job interview, you are probably going to face questions based on some of the examples and information you’ve provided in your application. If you make up stories about your achievements or skills, it might be impossible to remember the exact story (as it never happened) or to demonstrate the skill. A job application isn’t a test to write a novel. Most applications tend to provide you with a maximum word limit for competency questions and you should stick with it. Don’t go above the limit, but don’t also feel the need to hit it exactly. You want to answer the question clearly and provide as much essential details as required, while keeping it short and simple. You don’t need to include everything, in terms of experience, you’ve ever done. You only need to talk about the experience and skills required in the role you are applying for. The employer is only interested in information that says you’ll be amazing in that role, not how good you are at other things. Essentially, it means that a restaurant wants to know how good you are at cooking, not how you’ve managed to repair a car, for instance. Furthermore, focus on topical answers as much as you can. Examples from the past few years are better than something you did ten years ago. This is because it highlights how you’ve used these skills recently to your advantage. To stamp out spelling mistakes. To ensure the answers are clean and crisp to catch the attention of the recruiter. If you fail with the two above points, your job application can end up looking un-professional and the employer is unlikely to forgive your errors. If possible, you should ask another person to read the application form, along with the job description. They might be more able to look at it more objectively and to provide you insights into how you could improve it. Furthermore, even if you proofread it yourself, never do so immediately after filling the form. Sometimes stepping away from the answers can give you a fresh look at it once you return to it. You might come up with a better way of answering a question or be more able to spot the spelling mistakes. 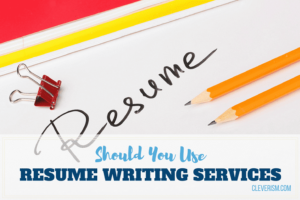 When it comes to writing your job application, you should first take the time to understand the role on offer and the specific requirements for it. You want to keep these at the core of your application and highlight your own skills and achievements in relation to these requirements. Ensure you focus on clarity and professionalism. Your job application should be error free and be based on your actual capabilities.